Gently cleanse the skin with this enriching, vegetable oil-based, traditional After the Rain Soap. With an irresistibly fresh blend of rose petals, musk and floral citrus; this mild formulation contains added glycerine to moisturise. Arran Collections inspire and connect us to the island – the origin of our thoughts. 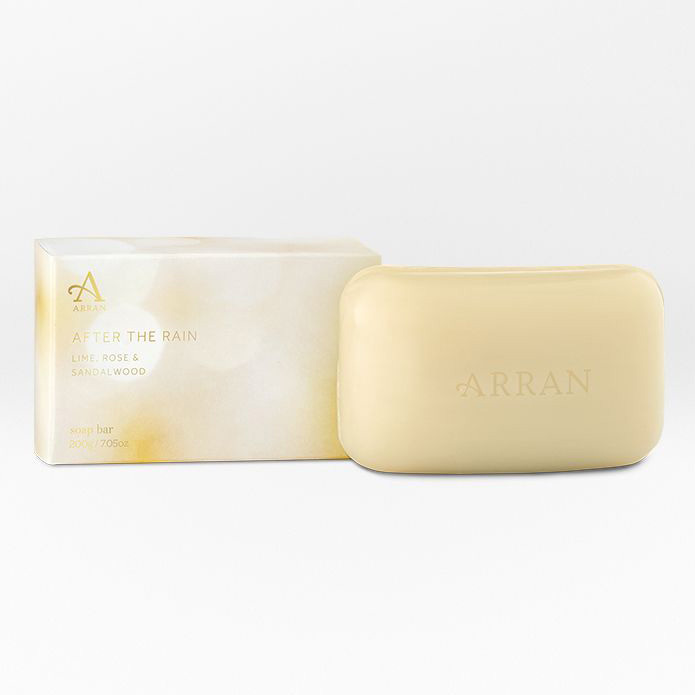 Inspired by our founders desire to capture the unique, fresh scent of an Arran garden following a rain storm, After the Rain is the most popular fragrance in Collections. 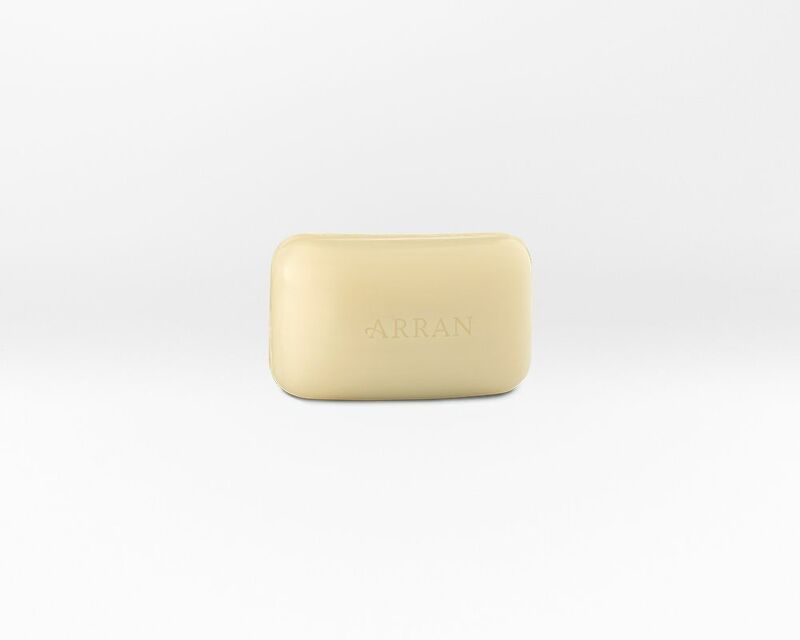 A fresh blend of rose petals, musk and floral citrus combines with the notes of Arran's precious woods. Use as often as required, rinsing skin thoroughly. For best results moisturise with After the Rain Hand Cream or Body Lotion. This products qualifies for delivery with Royal Mail Tracked 48 prices at £3.99, whitch will be posted through the letterbox if it fits.